The train was 45 mins late leaving Woodlands station and went down hill from there. We slowly climbed to 40 kph downhill and managed that speed for half an hour to the next station, suddenly, a real punch in the back we topped at 70kph for nearly five minutes. Just before KL we managed 90kph downhill with a tailing wind – quite the adrenalin rush! Ist class totally worn out but surprisingly comfy. Only one setting on the a/c – freezing so had to hang out the door to warm up. Man in Seat 61 must have travelled when the trains were new:) But we did get a slice of cake and a bottle of water. Asian loos to the left and Caucasian loos to the right. Both seen better days – old and cracked but bearable – just. Mee goren heated in a plastic pac in what was loosely called a dining car was actually quite tasty – especially when you are starving – Chris passed. Finally chuffed into KL 3.5 hrs late – engine trouble apparently – hope the same train has a new engine tomorrow as we go to Butterworth and Penang. 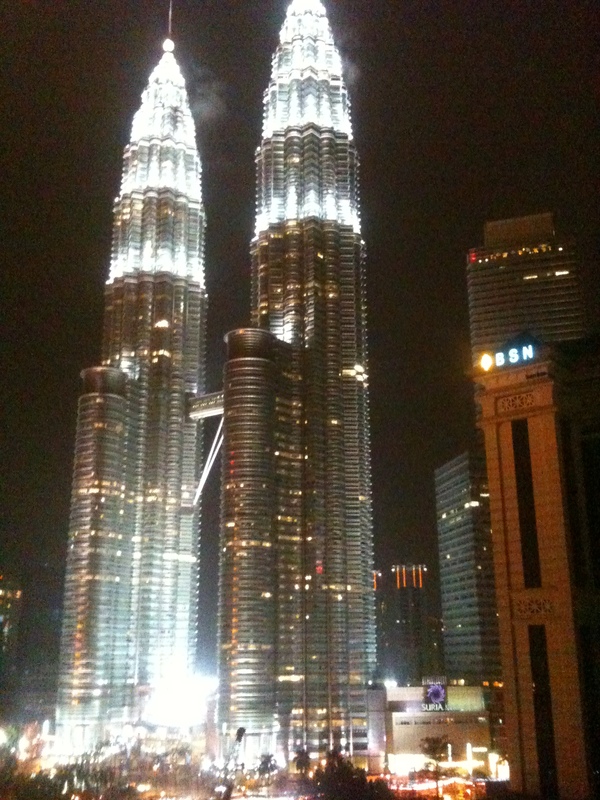 The Maya Hotel in KL is magnificent – Dr Peck n co were upgraded to an 80 sq m room overlooking twin towers. See pics. 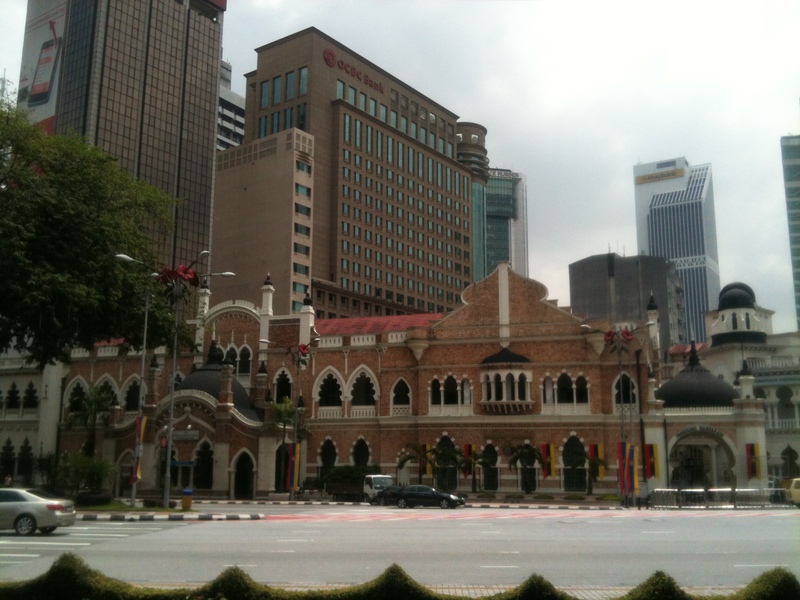 Today did China Town, Whatsit Square with the old colonial buildings and little India. Who needs a gym. Now absolutely pouring – lightning the lot. Good old GnT. Had to take this for the ladies. Actually – the head covering scarves the girls use are quite functional – keeps the hair clean – also quite pretty! Above twin towers and Old Town and new buildings comparison.